This 5-hour tour is for all visitors who are landing at San Martin Port and want to enjoy a private Tour to Ballestas Islands and Tambo Colorado. See thousands of marine wildlife in their own natural habitat and visit one of the many well preserve Inca adobe complex near the coast of Peru. You will be met by our guide at 9:15am at San Martin Port, then you will be transferred to Paracas town, at this point you will meet the rest of the group and board our speedboat to begin the adventure to the stunning Ballestas Island. 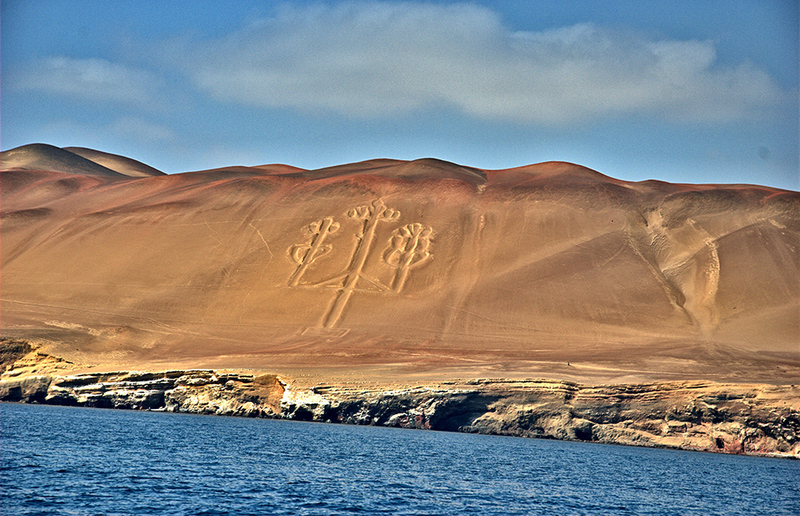 On the way you will stop at the Paracas peninsula to see the enigmatic figure of the Candelabro, a stunning design drawn on the side of a hill in the Peninsula. Nobody knows for sure who did it or why. There are many hypotheses regarding its origin, some believe it is related to the Nazca Lines but still found no proof or evidence that can define its creation. Afterwards, you'll head off to Ballestas Island, where you will see a stunning world filled with birds and sea lions. Here, you'll visit the three islands at a distance allowed, navigating inside some caves, depending on the condition of the sea. On your return to the port, you will board our vehicle to drive towards Pisco town for a sightseeing tour where you will visit the main square, Municipal Palace and among others places of interest. Afterwards we all be travelling east for 35 minutes to finally arrive to the well preserve Inca Fortress of Tambo Colorado. Tambo Colorado was an Inca settlement and was most likely built at the end of the 15th century and was ruled by the Inca Emperor Pachacutec. It was known as Puka Tampu, Pucallacta or Pucahuasi and its buildings are typical Wary (Ayacucho) and Inca (Cusco) culture influences, have buildings of ceremonial plazas, houses, ceremonial platforms and the main building known as La Fortaleza. It is believed that Tambo Colorado was used as an administrative/ceremonial and military place to control the main road from the coast to the highlands also this place was to service as resting place for the Inca and his army across the Inca territory. The site consists of several structure around a large central plaza. The central plaza is shaped like a trapezoid with its largest side being 492-ft (150-m) long. The main structure is grouped together in a northern and southern Palaces, plus some ceremonial platforms. Because of local environmental conditions, many of the buildings original colours have been preserved, helping experts reconstruct the site. Finally, you will return to San Martin Port to re-join your ship.